Genesis uses parables to express itself. mastering the good and evil issue." So Evil began with a lie. Sin is a collective noun, whatever form sin may take, which refers to all of man's behaviors incompatbible with the Creator's Design. Good is the Design. Man of the Design (Rev of Arès 28/27) is the name given any human who strives to give up sin (39/6) and restore the image and likeness (Genesis 1/26-27) of Good in himself or herself. In the Arès Word the noun sin is sometimes used to mean particular forms of sin like the sin of idolization (39/4), the worst of sins (29/5), Adam's sins (28/8) and so on., but this is just to characterize sin, but not to organize it into a hierarchy. So that the sin of sins (38/2) does not mean sin having grown into the strongest inhibitor of Good or the strongest stimulator of Evil, but it means sin on the day when none of men tries to rid himself of it anymore. Untruthfulness therefore is not a form of sin more dangerous than other forms, but it is a form of sin more worrying currently. The Father, who is out of time (Rev of Arès 12/6), considers all forms of sin as equally harmful to spiritual life, to Good therefore. But man, the Adam who went into time (12/6) by the means of the creativeness and freedom he had been given by the Father, by rejecting the Design, by creating his own values, his own design with which he is so dizzy that he dies from it (2/5), has sinned in varied ways and frequencies. It was a time when material greed ruled life and the most frequent forms of sin were theft, murder, enslaving, conquest, in short barbarity, Today intellectual greed rules life, so it seems that untruthfulness is growing into the most frequent form of sin.. It is still barbarity, but in the form of a rose sometimes fragrant with a delicious scent. If falsehood is random or impassioned, it is just error. If falsehood is lucid, it is lying, untruthfulness. If falsehood is random or impassioned it is just error. Before Jesus spoke to me in 1974, I used to live in error. Afterwards my error would have become lying, if I had not quit the Church and set about changing my life (Rev of Arès 30/11). Even though I am not a flawless man, because I was born in a very sinful generation, I have never been a dishonest man who lives on in gratification of undeserved self-esteem. None of untruthfulness is more pernicious than being dishonest with oneself. The most sacred thing Good builds is Truth. In the verse: Truth is that the world has to change (Rev of Arès 28/7), Truth does not point to a state, but it points to a slow continuous quest. 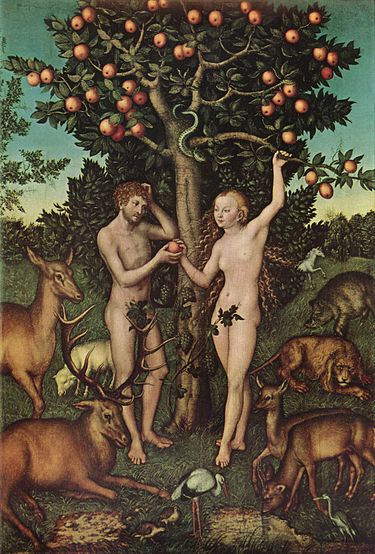 So God considers Truth as an action, something that begins, and then develops from generation to generation (24/2-4), and finally changes into the marvelous Day of the Father (31/8), when the world is the garden that never withers (xvi/17): Eden again. This means that untruthfulness currently is the most frequent killer of the future. I remember what Mr François Hollande stated in the course of the 2012 election campaign, because his words amounted to caricatured untruthfulness. In a face-to-face TV debate, he voiced his deepest contempt for Nicolas Sarkozy; he promised that he would turn things around completely, eradicate unemployment and France's national debt, and so on. No man on earth could more falsely have established himself as a genius and pour out more unworkable plans; but we have to acknowledge that the the result would be perfectly happy for the deceiver. Such en example speaks of untruthfulness as an accepted official way of success. He was elected President of the Republic. So would our missionnaries be unheeded, because they are straightforward, inversely? This makes us wonder if untruthfulness or lying is the expression of the Truth today, which is a terrible point. Lying and charming have been as one a very long time, because untruthfulness is highly workable and polishable; it gives a ring truer than truth, while true truth is often unpleasant, unlikely, improbable and even sounds like sheer falseness. This is what Erasmus meant when in "Stultitiæ Laus" (Praise of Folly) he wrote : "Man's mind is cut out to be more easily enticed by untruthfulness than it may be by the truth." In the nineties a pilgrim passing through Arès said to me, "Your mission has had meagre results. Why have you been telling that Jesus and God appeared and spoke to you? These are incredible facts. You should publish The Revelation of Arès whithout specifying its supernatural origin. Just let every one of the readers guess who is its author, who may be you, or a dream you have had, or the fruit of continual thoughts of yours, or God for a few people that have a clear understanding of the situation. Being silent about the truth is not lying, so your apostolate will be less infertile." I replied, "Letting others tell lies to themselves is sheer lying. Why, Jesus in his transfigured body appeared and spoke to me and the Maker shrank to the size of a big nail (Rec of Arès ii/21) to speak to me and I should hide that extraordinary supernatural events, that are Messages all on their own?" If the is a problem of untruthfulness, I do not think that it lies in the choice between distorted truth, lying made likely, a lie which "says the truth". The problem lies in the drowning of the mind by untruthfulness, which has flooded the world. The mind drowning in untruthfulness has lost insight and gone just capable of skepticism or its utmost form which is absolute incredulity or pyrrhonism. This has fathered numberless harms like in the spiritual life people's indifference in front of The Revelation of Arès and our mission, or like in the democratic life electors' fatalism in front of the candidates they elect, by whose lying they are not taken all the same. All people, whether electors or newly elected members, think, "Let things go on as a routine, just as they are, rather than fall into a state of chaos!" And we all are going on blindly so to speak, in a cowardly way. I am aware that the chaos would be better, in order toenable man to reexamine all from every angle, stop untruthfulness, start from the truth again, but I can only move on by trial and error in the world's dullness. I have let the lies of the candidates I elected in 2012 fly like vultures after I had just made sure that they would not harm our mission. Now I an imperfect man beat my breast, but I can't help but sort things out myself in the lying world. We have no absolute alternative to untruthfulness but silence, although inaccuracy happens to be a satisfactory alternative. It is common knowledge, for example, that I wrote "The witness's accounts, notes and thoughts" about The Book (see the 1987 and 1995 editions of The Revelation of Arès, http://www.adira.net) because my wife Christiane provided me with insistent incentives for it, while I personally was quite willing to remain silent about the supernatural, which I considered as indescribable, a sort of physics we can't talk of with words. Today I am only too pleased to have done it, even though it is rather rough. At times inaccuracy is truth. Which leads me to think that we are all liars by inadequacy of the means to tell the truth and also by fear, by scrupulousness, by lack of memory, etc. When Isaiah related his spiritual calling (Isaiah 6/1-13), he was obviously inaccurate or even inventive, because he related an event impossible to depict. Whatever we relate, we are always inaccurate, incomplete, because telling or writing cannot give an account of acting or seeing. Every day, when I tell sister Christiane, "I love you" I lie, because no language can depict the emotion that she stirs in my heart. I would need a thousand words to say "to love". So I understand why hermits withdraw to the tops of mountains in total silence, though I do not approve of them, because they reprehensibly do not bother repeating and repeating to human beings that they have to search their spiritual deserts to find the Life (Rev of Arès 24/4). Nevertheless I find it regettable and harmful that learned men say that "The fact of condemning lying without proper judgment prevents us from studying it". Why study lying ? It is as unnecessary as studying murder or theft. Politicians and tradespeople are especially untruthful, so much so that whatever they say has not been considered as unquestionable a very long time. Deceitful creativity is appalling. The possibility of lying that only man among all of earthly living craatures has ever had can't interest me and even it frightens me very often. Man's propensity to tell lies makes a lot of people go away from ideologists, advertising professionals, religious men, in short glib talkers, but there are talkers who talk to men without telling lies and even speaking is their only way of warning people against error. Such a talker I am. For forty-two years persons have regularly said or written to me, "You are a liar that experienced! You have ended up believing in your own lies." I can only answer, "I tell the Truth, which does not tally with your truth." Besides, a lot of those who have had esteem for me have not followed me. How many former friends of mine in the seventies and eighties told me, "You sure enough have been visited by Jesus and God in Arès, but this is no matter of concern to me, at all"? Then, every so often, I turn to the Father and tell him, What a task terribly thankless you have given me! The Core of my prophetic task is carpeted with implausibilities, truths that culture casts out, because in the world there are events with the label "Believe in it!" and events with the label "Don't believe in it! ", and because the real liars have grown so skillful that untruthfulness is the world's truth nowadays; all of the ears open to lying trustfully, but they close to me suspiciously." Just as Dr Freud observed it, I can only repeat relentlessly — without flagging, says The Revelation of Arès (26/15) — what I could not say once and for all, lest silence should destroy the Father's Message to men since 1974. I repeat the Truth relentlessly, I never fake it, I never tell it in paralipses. I live expecting that I have to keep to my mission stubbornly until it is successful with the help of my brothers and sisters. Thank you Frere Michel for this very important post. I look forward to your posts and comments with daily glee. They are a touch of light in my life, a source of intelligence, inspiration and empathy. I think the recourse to untruthfulness is linked to a resistance to experience pain. When I gave birth the second time without painkillers I discovered that if I accepted and embraced the experience, it became a much richer and enjoyable experience, a combination of both pain and pleasure in a very raw way. My labour was quick and different to my first birth which was more painful, self-conscious and slow wherein I remember the 'ego' part of my brain wanted to escape which was absurd because there I was midway through labour and that was definitely not an option. Another example is when I find myself in a conflictual argument with my partner. I notice the ego part of my brain focusing too much on my own woes and sufferings. If I choose to move my perception beyond myself to his pain, in empathy, I gain a much greater and more truthful perspective of a situation. The truth in every situation requires us to grapple and search a little deeper inside ourselves for it which can be painful. In trying to elude looking at our own selves we have sought escape in our material world building grotesque consumerist dreams which only further stray us away from our calling and bury our heads under the sand. Or we have chosen to transfer responsibility over ourselves to politicians who could not possibly know or decide what is best for our individual needs, and at each terribly juncture we create more lies to cover up the truth that God has continually reminded us of for over 4000 years that is 'the world must change' and we must change ourselves. The painful experiences of life are fruitful opportunities. God's grace, means that is dealt to us in portions that we can digest. Were we to receive it all in one go, I wonder if we would be able to survive it. Were the world to be unmasked of its lies in one clean swoop would are despondency and sadness be too great to bear? You, beloved Nabi with the 'falcon's' eye must know things about our current situation that I, so cowardly would not want to imagine, and yet simultaneously I yearn for the spiritual transformation faster and for the labour to come quicker so we can move beyond the spiritual loneliness. As you can see I also labour with language, as you must labour with reading this post in English. Thank you for reading my laboured words and for your continual work that is an inspiration. Thank you sister Poppy for this comment. No, I don't labour with reading your post, but it is about a form of untruthfulness which tends to have us roam through a labyrinth of nuances or hues and calls for an extensive reply. Unfortunately, I do not have the time for it. There is no doubt that the truth is much disturbed by pain and other trying, disruptive experiences, because sin has very long deteriorated our brains, which learned people say use about 10% or a little more of their power. In pain like in conflicts we need some time to realize the truth and even incomplete truth. So our capabilities of perception are not always equal to situations. This is why my entry #172 is rather about plain, simple, indisputable lies rather than spheres of incertainties. On other words, I am unsure as to whether the examples in your comment are or are not untruthfulness. The relation between truth and facts is a problem now more acute than ever before. Faith in realities was devastated by the wars and ideological revolutions in the 20th century particularly, because they were based on untruthfulness in a lot of forms. Now people have seen the fickleness of news, politics, religion, and have grown skeptical. The transcendently trustworthy absolute truth has disappeared except, just as The Revelation of Arès says it has to be, in penitence, that is, in love, forgiveness, peace, free spiritual intelligence. In other domains there is a wide range of uncertainty. I think that the examples you give, even if correctly thought through, can't make disappear the possible uncertainty between untruthfulness and truthfulness. Just be serene and confident, my sister.